The new Prestige Yachts 590 Flybridge is a work of art on the water. "Refined Elegance" is how Prestige Yachts describes their newest model to debut, the 590 Flybridge. Nestled in the middle of Prestige's Flybridge model line that runs from 42 to 75-feet, the 590 is distinctively unique. For example, the Prestige 590 is one of the only yachts in her class worldwide that offers the option to customize the layout by choosing between a very large garage for the tender or using that space as a cabin for the captain or crew. The 590 Flybridge also incorporates Prestige's new Ship Control technology which allows the owner to manage all of the boat's functions and system monitoring right from their tablet. It's this attention to detail that sets the 590 apart from the competition. The Garroni Design team, which is credited with working with the Jeanneau factory to build the 590 Fly, focused on truly improving the on-water experience for the owners and guests. These efforts can be seen everywhere on board from the sightlines behind the helm to the seating layout on the flybridge to even the edges of the furniture in the salon that blends into the surroundings. If you're ready to see the new Prestige Yachts 590 Flybridge firsthand, give us a call at (718) 984-7676 to set up a private tour of this new model. 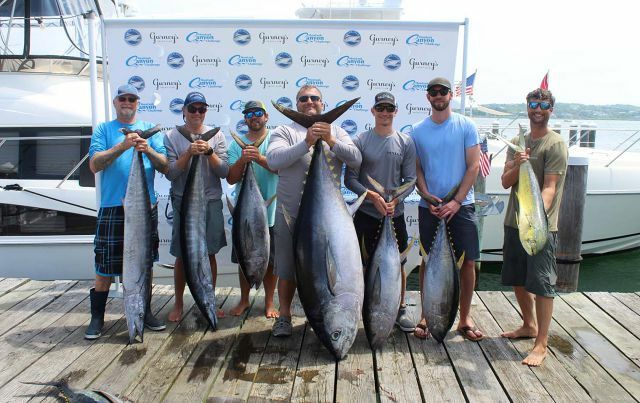 **Just updated: Check out the live video on board the 590 right from the boat show! Owning a yacht is all about having fun and the new 590 offers plenty of opportunity to have an epic day (or several days) on the water. The swim platform is extra wide which gives the swimmers, divers, and snorkelers on board a great platform to launch. Kids will also like using it as a diving board and it makes entering the boat from the water safe and easy. Sunbathers can also use the extended platform to sunbathe at the water's edge making it a preferred spot for tanning on calm days. Teak steps lead from the swim platform to the aft cockpit dining and lounge area that flows very well into the interior of the yacht. The glass aft doors open and a glass panel folds upwards to connect the galley with the aft cockpit. A L-shaped bar makes serving food and drinks seamless and easy. The teak cockpit table L-shaped couch have enough seating for four people, but can easily accommodate more with extra chairs. The couch has built-in cupholders and reclines back for sunbathing or enjoying the night sky. The bow on the Prestige 590 is both an exhilarating place to ride while underway and a thoroughly relaxing space to take a nap. The bow features a wide sun pad that can easily fit three people and more if you have children on board. The lounges raise up from the top to give sunbathers a great place to rest and there are safety bars on both sides for moving around while underway. A canopy is easily installed to provide an excellent shaded area that has nothing blocking the sea breeze. For the best views on the boat, head upstairs to the extra-large flybridge on the Prestige 590. The upper helm is placed port-side, has a two-person bench seat, and an ergonomically designed dashboard. Driving the 590 Flybridge from here is an experience in itself with the unobstructed views while cruising in the mid-20 knot range. There is so much seating on the flybridge that you can easily fit over a dozen people. The area in front of and around the helm is one big connected sunpad which also has an additional two-person bench seat in behind it on the starboard side. A L-shaped lounge and teak table are placed aft on the flybridge and offer another spectacular dining spot on the boat. 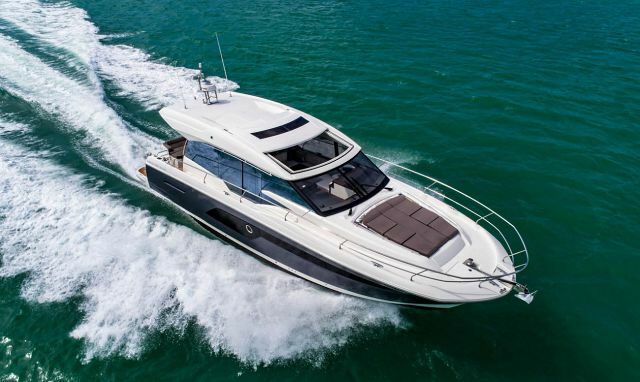 At the end of a long day of swimming, sunbathing, and enjoying the outdoors, the Prestige 590 Flybridge still has plenty to offer inside and away from the elements. A large windshield and extra-wide windows line the entire salon and galley proving excellent natural lighting and views outside. While the interior finishes are customizable to the owner, the chosen fabrics and color palette by the Prestige design team compliment the luxurious, but fun theme of the 590 flybridge. The main deck interior is entirely open and connects the galley, the salon seating and dining area, and the interior helm. A sliding window near the helm stations opens that area even more and allows the breeze to flow in front the aft doors and out near the bow. The amenities and inside seating of the 590 make her an excellent choice for entertaining or cruising in the evening with friends. 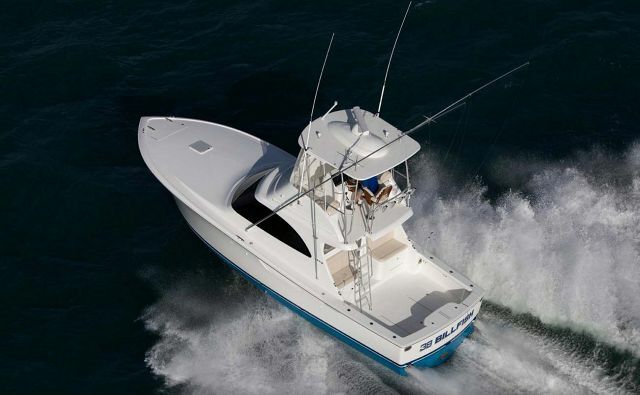 SI Yachts is proud to be the Prestige Yachts dealer for the Northeastern U.S. We have the unique ability to be able to take your existing boat in on trade, allowing you to get into a new yacht of your choosing quicker and more easily. Our experienced service team at the Staten Island Marina have the experience and ability to handle any service-related needs or customizations you wish to add to your Prestige. 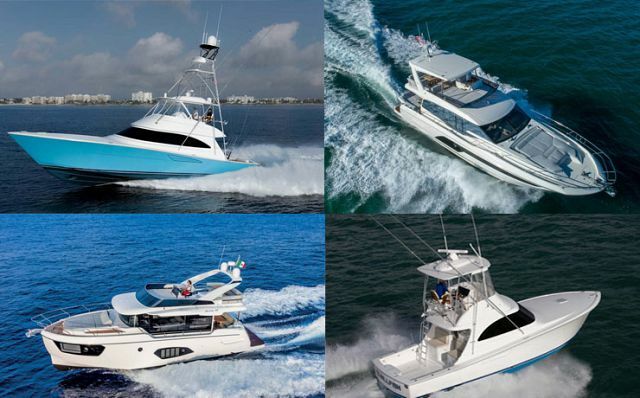 While the 590 Flybridge won't be available there, the Prestige Sea & Shore Event at the Ocean Reef Club is happening this December and offers you the chance to climb aboard several Prestige models and speak with the designers and factory representatives. This sea trial event is a great opportunity for anyone seriously considering a move to a Prestige Yacht. For more information on the new Prestige Yachts 590 Flybridge or any of the other new Prestige models in the 45 to 60 foot range, please give us a call today at (718) 984-7676.